Strive Masiyiwa, the founder and chairman of Econet Wireless has announced a new pay TV service called Kwesé TV. Through a post on his Facebook page, Mr Masiyiwa highlighted how Econet had been working on the service for three years. This is an almost direct reference to ipidi, the VOD service that the Econet Global group has been working on through its fibre services company Liquid Telecom. There has been mention of plans to white-label the ipidi service in different sub-markets across Africa. Kwesé (whose name means “everywhere” in Shona) would fit into the mould. Though the official launch of ipidi is yet to be announced, a lot of work has been carried out to get it to launch, especially over the past year, including the securing of content from various studios and preparing a mobile app that will complement the service. 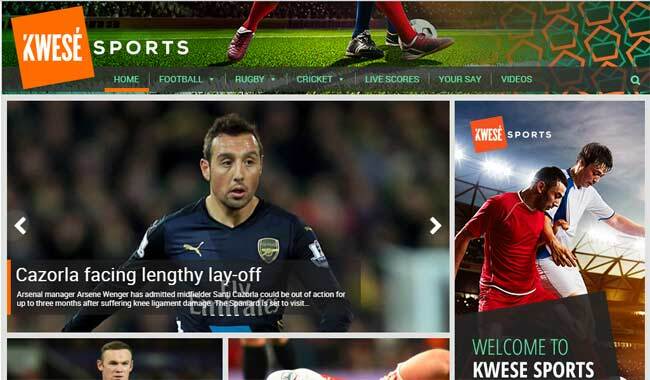 The announcement has also directed people to the Kwesé Sports website which is already active and is showing sports news and soccer matches that include European soccer which has been a huge favourite of pay TV subscribers. The market leader in pay TV is DStv which has an extensive focus on local, regional and international sports. From these early shots from Kwesé, that show a keen interest in sports, Econet is out to enter the MultiChoice/DStv space. You can read the full statement from Strive Masiyiwa below. As we move closer to our final launch, I’ll update you from time to time. In the meantime, please check out our sports website http://bit.ly/kwesesports which offers free access to some of our content, including the Copa Del Rey Spanish Cup that I told you about recently. ko ka accent ndekeyi ako? love the idea! Kwese great, the name gives it originality just like Huawei.Being a serial entrepreneur that you are,Strive,a great fast follower,top notch innovator,it was only a matter of time.Multichoice,here comes Kwese.Being Zimbo,am proud Strive,munotipasa manyemwe mukoma and your Econet family. I am more than ready Strive for the new product. To DStv i say, you refused to listen to your customers on your unfair pricing regime. Now, here comes our own son of the soil. I pray that you lose business to KweseTV until you go back to the boardroom and restrategize. This is great news.i wellcome it with both hands. Welldone Masiiwa. This will tail very well with the $500 million investment money Econet got. I bet 90% of that load money will be used for its real purpose. Compare that to 218 million netone got, 80 of that money will be used for none core requirements of the loan like new cars, desks, office equipment, travel expenses, salaries, donating to the party etc. I believe this is awesome. Hope this turns to be decent competition for DSTV, they need it to wake up. Loving the idea that I can watch it from anywhere I got internet. Hope they zero rate it as well. Tinozvigamuchira nemufaro mukuru Kwese muno muZimbabwe & Africa as a whole . Dstv are Masters… Hats off to Strive… But u need to sort out your Zim network 1st. The quality of calls is sub standard compared to SA networks as with your data speed. Your coverage in some areas is zero… West Nich to Beit Bridge. Remember people dont just want to sit and watch poor quality tv shows.. Have u started a local drama soap setup in Zimbabwe yet with actors. and will the channel be in HD? We dont want another sub zero standard channel like ZTV. Are you going to beam off the same Sat as DSTv so no one has to buy another dish? Why should we pay ex amount of Usd when we can hve over 100 channels on Dstv or poach free tv like sabc on an openview hd decoder? You have a lot to do Strive… And are you gonna cut you data charges which are the most expensive and out of the reach for most unless you want 10 megs? kwese TV tapinda tapinda,DSTV favours S Africans not us. I hope you can add one gospel to this station since dstv have successfully robbed us off gospel music in Nigeria. Please add one gospel. This is going to be a real game changer!!!! Looking at the website the sport coverage is going to take my money. Tora mari yangu Kwese, bye DSTV. well done mdhara strive, God ‘s using you! They. can’t compete with you, we told them a million times. I’m really interested to be part of production team if I am given a chance , how can I go about it? Well done Strive. May God continue to bless you. Small to medium businesses wuld see great things,neva seen bfo,bt to this day steward bank is used to just mop up cash on zim market.and perhaps to lend money to econet companies only.A good business man bt I lost sme respect since then.